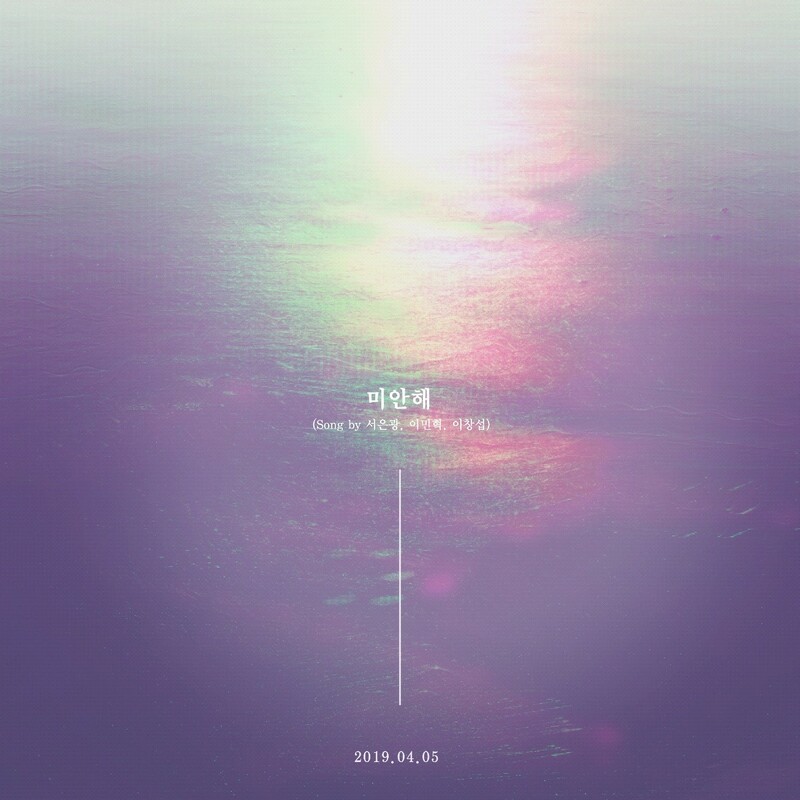 BTOB members Seo Eun kwang, Lee Min hyuk and Lee Chang sub's digital single ‘Sorry’ is released on the 5th. The digital single ‘Sorry’ is the last unpublished song prepared by Seo Eun kwang, Lee Min hyuk and Lee Chang sub before joining the military, and is a ballad by Medium Tempo by Lee Min hyuk, who proved his ability to write, compose and produce all of his first solo full-length album "HUTAZONE" released in January. It consists of a mournful introduction starting with Lee Chang sub's charming tone, a grubby but intense wrapping by Lee Min hyuk, and a refrain that offers a sense of Seo Eun kwang's rich voice, especially in the highlight section, featuring the perfect harmony of the BTOB type line, which has been working together for seven years. The digital single "Sorry" is expected to be a perfect gift for fans who miss the voices of the three, briefly left their fans to fulfill their national defense obligations, following Seo Eun kwang last year. BTOB's digital single ‘Sorry’ by Seo Eun kwang, Lee Min hyuk and Lee Chang sub was released on various online music sites at 6 p.m. on April 5.